In the history of Utah alternative establishments, men traditionally stepped up to bring alternative flavor to our cultural drought through such establishments as Raunch Records, Trash clothing store, Galaxina, Modified, the Speedway Café, and of course, this magazine, which was originally owned by JR Ruppel. Utah’s counterculture might have started out being led by men, but over the last half-decade or so, more women have felt comfortable stepping up, taking leading positions in sculpting our underground. Here’s an expose on three cool clothing stores that carry new and used, vintage, retro and cheap clothing, all owned by young, daring business women and all three dependent on the support of Salt Lake to keep our local flavor juicy. Catie Luckett is the owner of fashion favorite The Bag Lady Boutique and one of the Queens of the Fashion Scene. She bought the store from the original owner last fall to create an outlet for artists with a “passion for fashion,” she giggles. After living in Seattle and Pennsylvania, Catie brought back her experience to work with Bag Lady’s previous owner before buying the venture. To get started, Catie sought assistance from the Small Business Association. She started writing a business plan when she was 19. Catie redecorated and added a fresh selection of clothes and her friend Tara painted the changing rooms into themes. “I love merchandising, displays, advertising. I like working with customers and doing my own thing,” Catie says. “Bag Lady became more yuppy when I took over. I want to cater more to liberal people who like edgy clothes,” says Catie. The new Bag Lady boasts more accessories and cheaper prices, including an “Under $5” rack (I bought a shirt for $3). Catie is super-friendly, chatty and open to suggestions. “I’m looking for original, fun, different fashions from local artists. Like DIY, deconstructed wear. Right now, most of the clothes are from Suzanne Clements’ “Drop Dead DIY.” And Dallas Russell and Lisa deFrance,” she says. The Bag Lady is also looking for local artists to display work. In November, The Bag Lady will be having a one-year celebration sale. Catie is right. It’s hard to find good, individual clothing. I tried, and found some at The Bag Lady Boutique. If you can’t find the outfit you want at Bag Lady, where else can you go? Nope, not Wal-Mart or Target. Try Moxie, a new-and-used clothing/furniture store that just opened in July. I was very pleasantly surprised when I went in for the first time. The store is a refurbished warehouse, meaning there’s lots of stuff and plenty of space for it. Moxie sells vintage clothing, doors, windows, maybe even a kitchen sink. I spoke with the two young, female business partners behind the counter, Shawna and Amber. While stand-offish towards me (“I don’t like doing interviews,” Amber said quietly), they were excitedly engaged with customers; talking about how cool this or that is, asking everyone their opinion of the store. “Salt Lake is cooler than a lot of places,” Amber scoffed. Why “Moxie?” Shawna explains that someone once told her she had “moxie”- i.e., determination. Moxie had a few bands play in the store for their grand opening, including the Purr Bats, of whom Amber is a member. Talking about music makes her perk up. “It was a good turn out. We also had a pre-Halloween show with the Purr Bats and Thee Elephant Men. Cool! Cool thing No. 2 about Moxie: They have a plethora of wall space available for rent to local artists for only $25 a month. They don’t take a percentage; what you sell is yours. “We have wearable, practical vintage clothing. 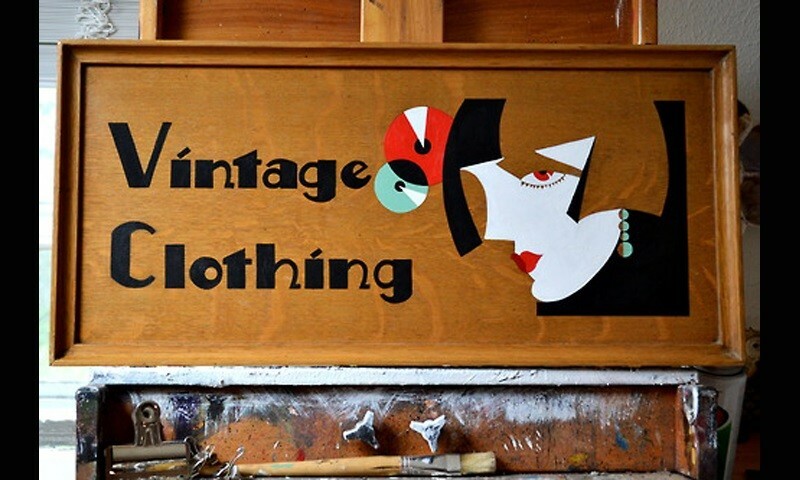 Affordable vintage clothing. We would like to carry local designers,” says Shawna. After the new year, they’ll have a press to make vintage iron-on T-shirts. They’ll soon be getting more of my money. Marguerite worked at G+P “for a long time, five years. I just bought the business last year at Christmastime. It’s not too hard; I love my job and the people. I think we have the best price for vintage. Really affordable. And we’re nice,” she says with a small laugh. Very easy-going, her friendliness shines through her voice and business. The new G+P is more organized and cleaner in its newly renovated space, with more outfits and loads of unique jewelry. They even have a case filled with vintage eyeglass frames. Grunts + Postures is open during renovation, so you have no reason not to visit. They’re even extending a special 20% off to SLUG readers for any purchase over $20 in November. Also in November (or maybe December) they’ll have an “Open For One Year” party. If I didn’t get to your favorite independent store, drop a note to SLUG (info@slugmag.com) telling us why your favorite is so special. Maybe next time you’ll read about it. SLUG supports local businesses. You should, too.